Discussion in 'Creative Archive' started by Tunolipede, Jun 5, 2010. Anyways, here is some stuff. Flygon Master's sig, Blazikid's sig, Aura's sig, Indie's sig, Naany's sig, Pixel's sig, Psy-teen's sig, and Dark Soul's sig. Tun, I'm surprised I haven't seen this thread before! You're a very talented individual, do you know that? I know that I've been requesting a lot recently, but can you please do one of the Zeebedee Elite Outfit (My display Pic)? No fancy text, just Zeebedee. Hello Tun ,I has a little request for you ,Can you make me a psig like the blazikid sig but make so where it has a Salamence hat and Shirt and the text would say:"Salamence Commander All troops move out!"? That would be awesome! & People with Cat Ears. Scarfed Tun is scarfy. And awshumsauce. Seriously though, I heart the softer colours. Its official... YOU IZ EPIC AWSHUMSAUSE WITH SOME COOLNESS ON THE SIDE! And you're good at spamming. Consider this a warning. Step up the quality of your posts, or we'll be taking further action. I do love your try at the lantern, those things are harrrrrrrrd. Hey, tun, would you mind making me a sig? The girl in it has long blond hair and is wearing a red shirt. 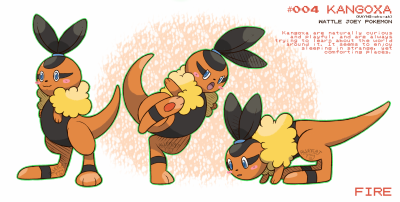 Have the text say, I love Eevee, the Eevee survives. Thanks! Also, Tun I love you! As a friend. Tunny, for the meantime, I need an avatar. I am very bad with the graphic arts, as I don't have the 'feel' I have for physical art with pixels. My request: I would like and avatar of Fi and I in merged form (i.e., red-eyed-white, female anthropomorphic gerbil) doing something awesome. Wow. You're really good at this. Never before have I seen one of my friends signatures, and imedietly thought: I MUST HAVE TEH AWESOMEZ! I really like how you draw clothing on people. All the wrinkles and folds are in exactly the right place. ^^ If you don't mind, I have a request. I want a sig like SC's. My character has short blond hair w/ red streaks, blue eyes with a hint of red, wears a black hoodie, and has a saphire pendant. The penadant is oval shaped with a 3 on it and a dot above, to the left of, and the right of the 3.
hey can you make me a mugshot of tsutaaja? Can I have a SC sig please? Good luck on all the sprites! Your art is going really well, I love it all! Your probably busy, so I won`t request a siggy or anything. Anwayz, good art. I might stalk this thread~! This is someone else's thread. You do not advertise your works in someone else's thread, much less offer to create them for people. Warned for spam and blatant ignorance. Hey Tun may I please request a sig of my user! If you can do this that would be great! Can I have a mspaint sig please? Can I have an MSpaint sig like Blazikid, but with a Munchlax hat, shirt, and teeth that says, "To the Refridgerator!" ? hey KoN, if you arent busy with requsts, i was woundering if you could make a mspaint sig of Max Masters from my sprite page. These are amazing! I love your arts! Wow, your art is really good! No request, just a friendly comment. No, you may not. This topic hasn't been posted in since October, so this counts as gravedigging. Warned.